5 Life Lessons We Can Learn From Our Pets! - Petpav - Your Online Magazine for All Things Pet! 5 Life Lessons We Can Learn From Our Pets! Our dogs and cats (hamsters and even fish) are our family and as pet parents, we want them to be happy and healthy. We try to feed them well, take good care of them and make our home theirs. We train them to behave properly, to go to the bathroom in the appropriate places and even perform a few tricks! And we sometimes marvel at what a great life they have! But, sure, we provide them with a great home and shelter, but what about all our pets give to us and teach us. If we acted like our pets, wouldn’t the world be a much better place? Below are five life lessons we can learn from our pets. Our pets love us whether we raise our voices, change our work schedules, their food, no matter how it affects them. They still love us when we go on vacation or leave them alone all day. They love us if were in a bad mood, forget to kiss them on the way out or feed them breakfast later than normal! Our pets know how to seize the moment! They don’t worry about the future or the past, they just live each day to its fullest! Every new toy is the best, every trip to the park is like the first. They are endlessly happy and optimistic and seize every moment! Our pets don’t hold a grudge. If we raise our voices about their misbehaving, they are upset and react. And then it’s forgotten! Five minutes later (with a cat, maybe an hour) they look at you with their loving eyes, tail wagging and everything is back to normal! They won’t go to sleep angry and can’t even remember why they were upset five minutes ago. Our pets are so affectionate. Don’t you love how your cat purrs loudly or your dog snuggles up to you and licks you all over your face? 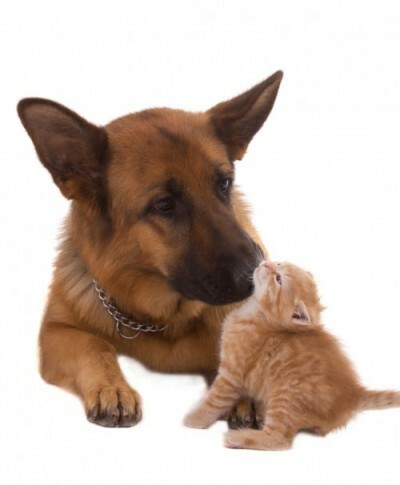 Our pets love showering affection. They have no issues about giving us a lick on our faces in public and really showing their affection, even if it isn’t reciprocated that moment. Our pets wake up each day happy and positive. We don’t have to worry if we offended them or they are having a bad day. They are happy companions that we can cry with, sing to, pet furiously and they are always there for us. If we are sad, they make us happy and don’t bring us down or question why we are sad. They are just there each day without judgment. If we could take these life lessons from our pets and treat each other as our pets treat us, we would all get along so much better. What has your pet taught you? Loved the article! We learn so much from our pets.